For centuries in the West, the idea of a morally good atheist struck people as contradictory. Moral goodness was understood primarily in terms of possessing a good conscience, and good conscience was understood in terms of Christian theology. Being a good person meant hearing and intentionally following God’s voice (conscience). Since an atheist cannot knowingly recognise the voice of God, he is deaf to God’s moral commands, fundamentally and essentially lawless and immoral. But today, it is widely – if not completely – understood that an atheist can indeed be morally good. How did this assumption change? And who helped to change it? One of the most important figures in this history is the Huguenot philosopher and historian, Pierre Bayle (1647-1706). His Various Thoughts on the Occasion of a Comet (1682), nominally dedicated towards taking down erroneous and popular opinions about comets, was a controversial bestseller, and a foundational work for the French Enlightenment. In it, Bayle launches a battery of arguments for the possibility of a virtuous atheist. So if the same interests you and is new to you then you have the links above. Thus we see that from the fact that a man has no religion it does not follow necessarily that he will be led to every sort of crime or to every sort of pleasure. It follows only that he will be led to the things to which his temperament and his turn of mind make him sensitive. I aspire to embrace humane values and to cage my reptilian impulses to bare tooth and claw. So when I was watching a recent episode of the TV historical drama Poldark and witnessed the death of perhaps its most in-your-face vile and repulsive villains and felt nothing but a sense of pure joy and total satisfaction I had to pause and think. Ossie Whitworth finally got his comeuppance, dragged squealing into the woods after being set upon by Rowella’s husband, and killed in a suitably embarrassing, brutal fashion. It’s not usually nice to see a Poldark death, but that was particularly satisfying. The greasy, toe-sucking wrong-‘un, so beautifully brought to screen by Christian Brassington, was finally undone by his enormous sexual appetite. And his horse. . . . . There was a fight, only for Whitworth’s horse to bolt and his lifeless body to eventually ending up bruised, battered and (probably for the first time in his terrible life) limp. Good riddance to this vile creature of the TV screen! Who could not (at least inwardly) cheer! So I had to ask myself what happened to my aspirations to human values vis à vis the death penalty. Oh how shallow is our ethical progress. Give me a different set of parameters, a pre-arranged set of cerebral inputs, and I’m right back to the barbarism of the theatre. The church teaches, in the light of the Gospel, that the death penalty is inadmissible because it is an attack on the inviolability and dignity of the person and she works with determination for its abolition worldwide. If, in fact, the political and social situation of the past made the death penalty an acceptable means for the protection of the common good, today the increasing understanding that the dignity of a person is not lost even after committing the most serious crimes. How historically contingent is our moral progress, and how fragile given our proximity to the end of organized human life. If there is no God, is murder wrong? Michael Shermer (head of The Skeptics Society and whose book Why People Believe Weird Things I liked; some of its arguments actually apply to many Christian believers, academics included) has posted a video challenging the fundamentalist/conservative Christian claim that without God there is no secure basis for morality. Now Shermer has responded with – ‘If There Is No God, Is Murder Wrong? He pretty much knocks out the argument with his first question or point one of four. Happily both videos are short. Is your dog capable of moral judgements? Is it watching you and evaluating your trustworthiness? According to a team of researchers from Kyoto and Hokkaido Universities, Japan, it might well be doing so. Almost to a man or woman, theists will tell you that if gods provided us with anything, they provided us with morals. Neither Christians, Muslims or Jews seem to be able to understand how we could possibly have got morals from anywhere other than their holy book, revealed, so they claim, to mankind specifically to tell us how to behave and what rewards of punishments we could expect to ensure compliance. A landmark in national life has just been passed. For the first time in recorded history, those declaring themselves to have no religion have exceeded the number of Christians in Britain. Some 44 per cent of us regard ourselves as Christian, 8 per cent follow another religion and 48 per cent follow none. . . . We can more accurately be described now as a secular nation with fading Christian institutions. . . . .
Christians, for their part, should not automatically associate a decline in religiosity with a rise in immorality. On the contrary, Britons are midway through an extraordinary period of social repair: a decline in teenage pregnancies, divorce and drug abuse, and a rise in civic-mindedness. That’s from a leading article in the 28th May 2016 edition of The Spectator: Britain really is ceasing to be a Christian country. Fear of All Knowing, Judgemental Gods Makes Us More Sociable? The following article or letter has just appeared in Nature, Moralistic gods, supernatural punishment and the expansion of human sociality. (Or try this link.) Warning, however: high profile journals such as Nature are known to experience the highest retraction rate among scientific publications. Presumably this is because they attract readers (i.e. payers) by publishing articles sure to be popular even though their claims have not been properly tested or have an inadequate peer review process for determining final editorial decisions. Since the origins of agriculture, the scale of human cooperation and societal complexity has dramatically expanded. This fact challenges standard evolutionary explanations of prosociality because well-studied mechanisms of cooperation based on genetic relatedness, reciprocity and partner choice falter as people increasingly engage in fleeting transactions with genetically unrelated strangers in large anonymous groups. To explain this rapid expansion of prosociality, researchers have proposed several mechanisms. Here we focus on one key hypothesis: cognitive representations of gods as increasingly knowledgeable and punitive, and who sanction violators of interpersonal social norms, foster and sustain the expansion of cooperation, trust and fairness towards co-religionist strangers. We tested this hypothesis using extensive ethnographic interviews and two behavioural games designed to measure impartial rule-following among people (n = 591, observations = 35,400) from eight diverse communities from around the world: (1) inland Tanna, Vanuatu; (2) coastal Tanna, Vanuatu; (3) Yasawa, Fiji; (4) Lovu, Fiji; (5) Pesqueiro, Brazil; (6) Pointe aux Piments, Mauritius; (7) the Tyva Republic (Siberia), Russia; and (8) Hadzaland, Tanzania. Participants reported adherence to a wide array of world religious traditions including Christianity, Hinduism and Buddhism, as well as notably diverse local traditions, including animism and ancestor worship. Holding a range of relevant variables constant, the higher participants rated their moralistic gods as punitive and knowledgeable about human thoughts and actions, the more coins they allocated to geographically distant co-religionist strangers relative to both themselves and local co-religionists. Our results support the hypothesis that beliefs in moralistic, punitive and knowing gods increase impartial behaviour towards distant co-religionists, and therefore can contribute to the expansion of prosociality. Revised some hours after initial posting. This post introduces the general idea of the fundamental principles of morality being universal and innate in human beings, yet being tweaked and expressed in different ways according to culture, much the same way different languages derive from the same basic principles of grammar that are part of our unconscious makeup. According to this theory, we rationalise moral judgments and respond emotionally to them. That is, the moral judgments to acts that we witness come first (intuitively, unconsciously) and we react emotionally to these and may attempt to explain our judgments rationally. 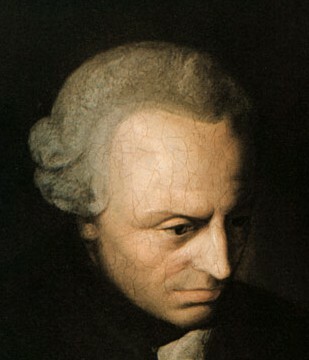 But reason and emotion are not the origins of our moral judgments, as Kant and Hume thought respectively. I ought never to act except in such a way that I could also will my maxim should become a universal law. This principle meant that we should never treat people merely as a means to an end, be we should respect others as having their own desires and goals. David Hume: Our moral judgements come to us through our emotions. Just as we recognise immediately a beautiful painting or an ugly one, so our emotions tell us immediately when an act we witness is virtuous or immoral. Some personality traits, Hume said, are innate, while others are acquired through our culture. An innately generous person who gives to charity is recognised as doing a morally good thing. One who has learned from society the importance of acting fairly and who resolves to act fairly even against self-interest, is also recognised as a morally good person. It is our emotional response to some action that is the basis of our judgment on whether or not the act is moral. 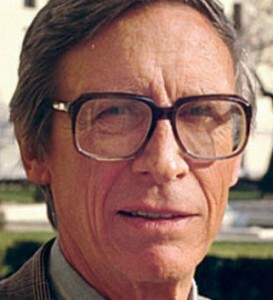 John Rawls: Not emotions, nor reason, but unconscious principles drive our moral judgements. We accordingly cannot always explain why a certain action is right or wrong — it just “is”. Why does a good sleep or healthy diet have such a profound effect on moral behaviour of so many of us? Is not our morality supposedly a non-physical phenomenon we can control by our means of strong character? It’s because we are responsible for our actions that we punish those who do bad things, isn’t it? But what do we do with research that shows bad behaviour is related to chemical imbalances or other nasties in our bodies? How does God judge wicked deeds and motives if they could be avoided or change by a simple tinkering of a chemical balance in the brain? Thou shalt not eat meat sacrificed at MacDonalds. I will utterly blot out the remembrance of MacDonalds from under heaven. Thy hoary heads shalt nap at noon for the Ancient of Days napped at noon. We change. I no longer think our “moral nature” sets us apart from other animals at all. I’ve posted on this a few times now. One of my recent posts referred to Steve Wiggins’ review of Moral Animals on his Sects and Violence in the Ancient World blog. Love the title. Another fascinating Radio National program worth sharing is Babies and a Sense of Morality in the latest edition of the Health Report. Babies can recognize good and bad behaviour, and demonstrate that they believe good behaviour is preferable, and even believe that it is right to punish bad behaviour. The experiment involved exposing babies to puppet shows — no words — in which there were three actants. One was attempting to do something such as push a ball up a hill or open a box to get a toy. Another was a helping agent who assisted the first one with the task. The other was bad, attempting to thwart the first one achieving what he wanted. The babies demonstrated their preference for the helper. When they saw a show in which someone was bad to the bad puppet, and another was good to him, they demonstrated a preference for the one who was “rightly bad” for punishing the bad guy. These are behaviours in babies from 3 to 8 months old. Check the audio file to find out how they conducted the experiments. I’m not surprised by the findings. (I am surprised that they could figure out how to do experiments to test for such things.) Anyone who has spent time observing the animal kingdom knows that among social birds and animals there are the same basic moral norms governing their social systems as we have in ours. And they have their own protocols for administering punishments for the rule-breakers, too. The same fundamental morality seems to be part of our nature. It’s all about helping our neighbour and punishing behaviours that are harmful to that ethic. There are human universals that cross all cultures that confirm the same thing. I loved this video clip of Frans de Waal’s talk, Moral Behavior in Animals. (It was recently linked on Jerry Coyne’s Evolution is True blog.) It demonstrates that more animals than humans have evolved moral attributes of empathizing with others, offering others consolation, “prosocial” tendencies such as caring for the welfare of others, and a sense of fairness. The talk begins by balancing the themes we used to hear so often about our nearest animal relatives being so aggressive and territorial by showing that they also “believe in” reconciling after fights. Or if you are short of time and want to jump to the funniest part where we see outrage over an unfair deal . . . . .
What’s the difference between a racist and an anti-creationist? I have just had the privilege of listening to an interview with South Africa’s eminent Justice and renowned campaigner for justice in apartheid South Africa, Albie Sachs. I recommend the interview to every one who aspires to a more civil and humane society. He woke up after someone tried to kill him with a bomb and was euphoric that he had only lost an arm. He later met and shook hands with the man who planted that bomb to kill him. Albie Sachs came from a family that knew the Jew-murdering pogroms in Lithuania. He has always stood against racism and every form of discrimination and marginalization of minorities. I was impressed with his insights even to the positive contributions made by the tiny communist parties in South Africa and elsewhere. We abhor the mocking of the physically handicapped. We hate racism. We protest against the discrimination against women. We now advocate for respect for gays. We demand rights and respect for all humanity. But some of our public intellectuals, ironically even those who profess to be both public intellectuals and Christians, are not the least bothered by despising, publicly mocking, marginalizing, denigrating and slandering those who think differently from the way they do. I am not a public intellectual but have had the benefit of a good formal education with some wonderful intellectual guides, and opportunities to learn much since. I have never “attacked” (or if I have I have regretted it) Christians or even Christianity or fundamentalists or those who believe in Atlantis or psychic phenomena or UFOs etc, but I have engaged many adherents of these in forthright and civil discussions. They deserve to be heard because they are not inciting hatred and are sincere. I was once a fundamentalist and anti-evolutionist myself, so I am in no position to ridicule anyone for the ideas they hold. The noble thing about intellectuals like Richard Dawkins and Jerry Coyne and Michael Shermer is their ability to address creationist or intelligent design arguments — and therefore creationists themselves — with respect. They listen to what creationists say. Carefully. And they respond with civility and directness. Where they have found dishonesty, as verified in some cases by court-tested evidence, they have aired this information, too. They show how one can do that without adding unwarranted sneers or name-calling. Yet some public intellectuals in the field of biblical studies — those who call themselves “Christians” even — have demonstrated the same sorts of ignorance and bigotry against those who challenge their arguments and assumptions as were once commonly directed against the physically handicapped, different races, gays, women. Example, against “Christ myth” arguments. These public intellectuals also incite public disrespect, even saying that certain people don’t deserve to be listened to because of their different views about an intellectual topic of which they regard themselves the public guardians. This is not how evolutionary scientists defend science against creationists. Public intellectuals have a responsibility to promote a civil society (meaning civil discourse at all levels) and intellectual integrity. There are too many New Testament scholars who fail dismally in both responsibilities. Even one is too many. What is wrong with Peter Singer’s ethical views? Singer does not argue, from what I recall of my reading of any of his books, that abortion, euthenasia or infanticide “the morally right” or “the morally justifiable” thing for people “to practise”. It strikes me as a gross misunderstanding of his arguments to claim that he argues that a cockroach is of more value than some human lives. I don’t have my Singer books with me now, but none of those ideas are what I took away from reading any of them. Did I miss something? Where I understand his analysis takes us is to realizing that the value of another person’s life is multidimensional. There is the innate value of a person’s own life-quality and potential. But there is also the value and meaning that each person has for others, especially family. The love a parent bears for a child, the supreme value a parent places in a child, makes infanticide unthinkable for most, for example. And we are above all by nature social animals. Everyone loves and values the cuteness of infants. So even in those tragic circumstances where parents do not want their children, a child is not unwanted or unloved. The value of Peter Singer’s work is, to my thinking, in helping us see ourselves for what we are — one of many species inhabiting this planet, and that there is a lot more in common among a range of social animals than we have often cared to admit. Other scientists of consciousness have likewise shown that consciousness is not something that is an either-or phenomenon, but something we see in varying degrees throughout different species. I think some of the more extreme criticisms of Peter Singer’s conclusions actually demonstrate the strength of our social nature. Humans as societies, not just as parents, do care for infants. 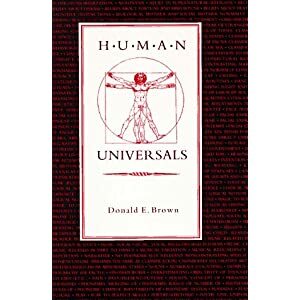 At the same time, advances in biology must necessarily challenge our understanding of ourselves, and not only the values we impute into each other, but the value we place on ourselves within the context of all sentient species. My reading of Singer’s discussions on ethics is not so black-and-white, nor even contrary to normal human compassions, than some critics seem to suggest. If we are “merely” a bunch of chemicals . . .
One still reads enlightened (or benighted) twenty-first century scholars asserting that there can be no purpose in life, no standard for morality, if we are “merely nothing more” than a set of chemicals and our minds the product of “nothing more than electro-chemical reactions”. If you try and take a cat apart to see how it works, the first thing you have on your hands is a non-working cat. That our level of consciousness, aesthetics, ethics, and all that goes to make us the species we are, have evolved as the products of chemistry and physics is not something to be dismissed as a “merely” or a “nothing more”. It is a staggering, mind-blowing thing to grasp. What makes it so damn hard to get my mind around is my inability to comprehend the vastness of the time involved. None of our abilities, apart perhaps from our language faculty, is a sudden or unique leap that stands in total isolation from everything else. Consciousness is not unique. We can see gradients of consciousness across various species. Social and personal rules of conduct, with punishments for breaches, are observed in many other species that live in social groups. There even seems to be some sort of aesthetic sense at work among bower birds who plant blue objects in a nest to impress a mate, and will notice if human vandalizes their efforts by relocating a blue peg in their nest, and will immediately restore the original layout. I loved watching the magpies in my backyard in Australia. If a male found a particularly interesting grub or beetle, its female partner would only have to sing out and the male would bring it over for her to eat instead. A kookaburra agonized us all at the office one day by perching on our office window ledge and holding a struggling lizard in its beak. Why wouldn’t it eat the thing quickly and put it out of its misery? We waited some minutes till finally its partner flew up to stand beside him. We realized he had been waiting for her when he then gave her the lizard to eat. Our agonies over the distress of the lizard turned to “Ohhs!” on seeing this act of affection or love in another species. An ill mouse that could not make it up the ladder to its bed of tissues was soon covered in those tissues to keep it warm — its partner had dragged the tissues down and covered its ill mate with them. Why oppose godless (human) morality? This post relates to an earlier one on Keller here. There is plenty wrong with human nature but there is also plenty of good. I have been lucky enough to have travelled a little bit to places where different religions are practiced and where the majority of people appear to profess no religion, and one thing stands out in my experience: the extent to which people are friendly, kind, gentle, bears no obvious correlation with religion or lack of it. Timothy Keller (The Reason for God) admits that all people have morals. From the above I would have concluded that our moral sense is something inborn, part of our nature, just like language.